Every few years, we hear about yet another daredevil (or wannabe daredevil) who attempts to go over Niagara Falls in some unconventional manner. In most cases, they are stopped — it is illegal to attempt any type of stunt over the falls, with a maximum fine of $10,000 if you’re caught — but a few people have been successful, some as recently as a few years ago. 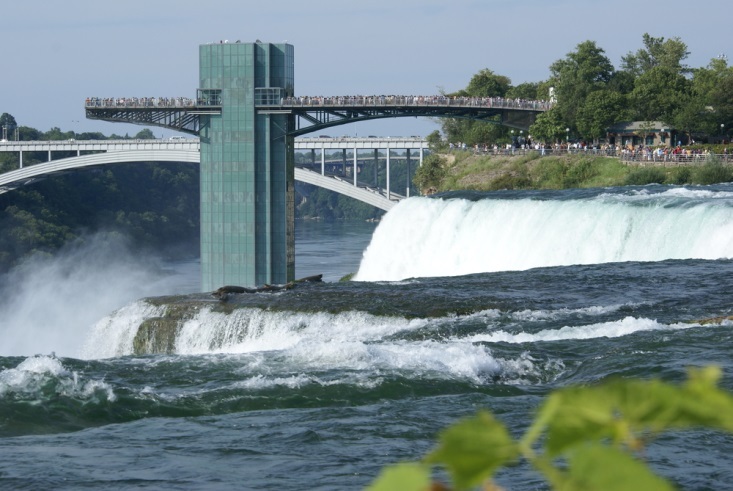 In June 2012, Nik Wallenda, a descendant of the legendary Wallenda family of performers, crossed the entire 1,800 foot span of the Niagara gorge on a 5 centimeter tightrope. The stunt was televised for several million viewers, but it didn’t happen on a whim. Wallenda’s feat required extensive permits from both the Canadian and American governments, as well as an array of safety equipment to prevent a plunge to certain death in the event that things went wrong. Fortunately, nothing went awry, but the Niagara Park Commission announced that it would be years before any additional stunts are approved. More than 100 years before Nik Wallenda stunned audiences with his trick, Annie Edson Taylor became the first person on record to survive a trip over the falls. Taylor climbed into a pickle barrel with nothing more than a pillow, and then plunged over the precipice. She was rescued on the American side a few moments later with nothing more than a small cut on her head. However, the experience wasn’t entirely positive: Taylor spent the remaining 20 years of her life warning others against attempting the same feat. Skydiving instructor Dave Munday certainly didn’t heed Annie Edson Taylor’s warning: Munday holds the distinction of being brave (crazy?) enough to go over the falls twice. His first attempt was in 1985, when he made the trip in a silver and red metal barrel. Despite that stunt earning him a $1,500 fine, he was back it again in 1996. On the second trip, he made the plunge in a retrofitted diving bell. Unfortunately, the landing knocked him unconscious and he had to be rescued by the Maid of the Mist ferry full of visitors to Niagara Falls. Jesse Sharp had to know that his plan to go over Niagara Falls in a kayak without a helmet, life jacket or anything but a 3.6-meter kayak wasn’t particularly well-planned. Yet that’s exactly what he did in June 1990 — and as expected, he didn’t survive the trip. His kayak eventually resurfaced, but his body never did. Visitors can learn more about both successful and not-so-successful trips over the falls at the Daredevil Museum of Niagara Falls, on the Canadian of the falls. 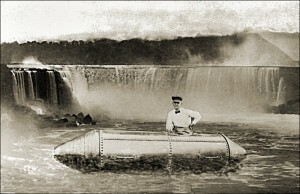 At the museum, you can see photos and artifacts from various trips over the falls, including some of the contraptions that various daredevils have used in their attempts. 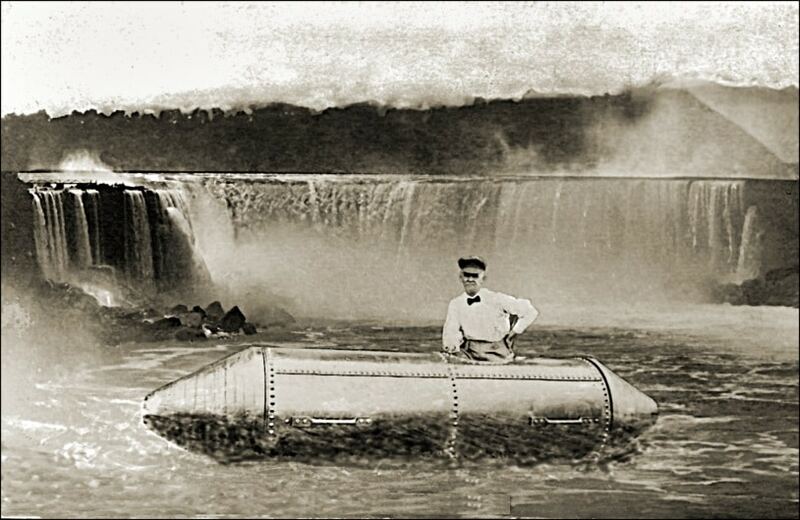 Stunts involving Niagara Falls are few and far between, especially given how common they were in the 1800s. Most of today’s visitors will not have the opportunity to see a wild stunt — which may be a good thing — but you can learn about them and imagine what it’s like through museums and exhibits around the area.